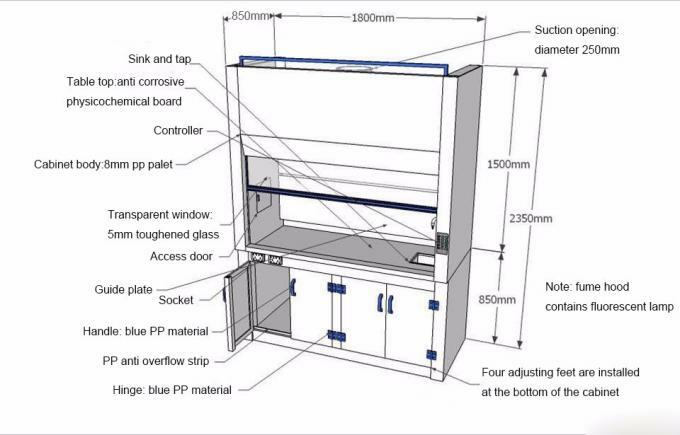 Guide Panel use bran-new 8.0mm welded PP panel to make, with strong acid and alkali resistance, corrosion resistance, installed in the back and top of the work space,consists of at least 3 panels, make the joint between work space and exhaust pipeline form one gas chamber, and discharge the polluted gas equably. 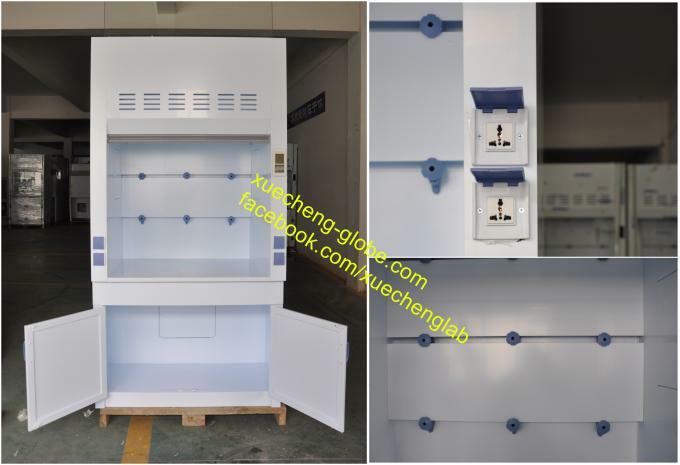 the guide panel and the cabinet body is connected with guide clip, can be dismantled and assembled repeatedly. 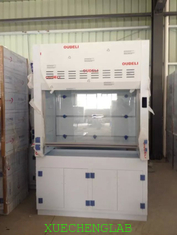 Gas collecting Hood use PP material, with strong corrosion resistance, the entrance of the bottom is rectangle opening, the top exit is circular opening. Steel wire Rope the balance weight and glass visual window connection use standard steel wire rope, ensuring safety for user. 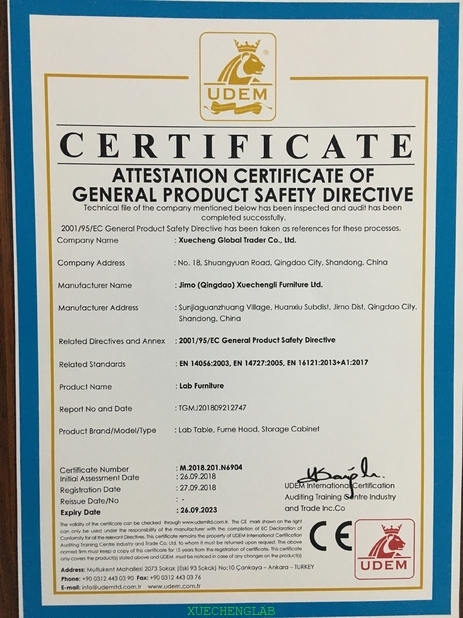 Guide Clip acid and alkali resistant PP material, good anti corrosion performance, azure blue color. Pulley use PP mute pulley, with small friction. sliding door: mobile vertical sliding door, installed between work space and operator in order to protect the operator(s), combining the balance position, the sliding door can be stop at any mobile position.one piece of tempered glass visual window is set on the top of the adjustable door, the visual filed is clear and unhampered. frame: use frameless door, embedded combined with glass four edges clamped, ensuring the window’s safety and durability. suspension sling: use synchronous structure, synchronous belt drive ratio is accurate, with small symmetry axis force, compact structure,oil resistant, good ware resistance and aging resistance. Lamp use 30W tri-proof lamp 1 piece, waterproof,anti-corrosion, anti-oxidation anti-oxidation, quick repair design. 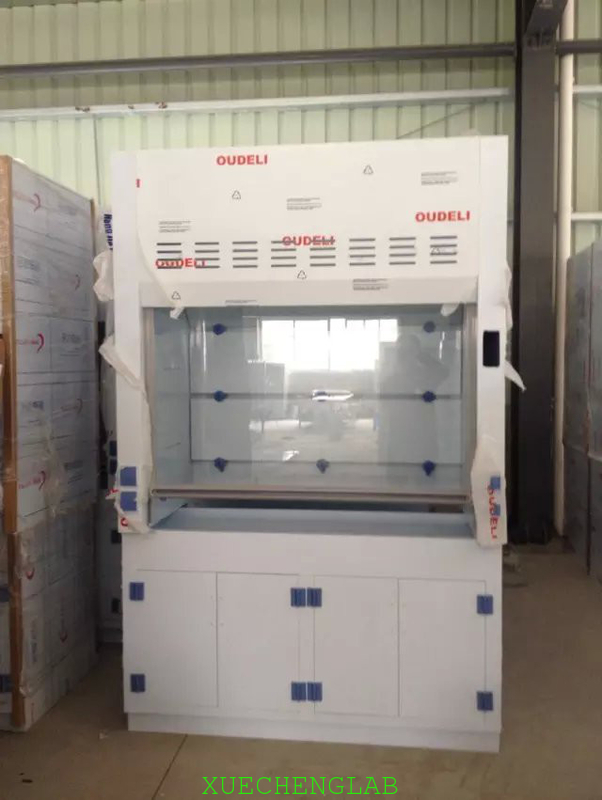 Under Cabinet use 8mm thick high quality pure material PP (polypropyle) panel to make, after caved bent treatment into whole cabinet, with strong acid and alkali resistance, corrosion resistance. door panels all use interflanging structure,firm and not easy to deform, elegant. Handle use PP handles special for lab use, with strong corrosion resistance and good resistance to acid and alkali, azure blue color.